The best 128GB MicroSD cards are all listed below. If you have a smartphone, drone or any other digital device that requires the uses of these micro-sized memory cards, we will highlight the must-have options available on the market right now. With the explosion of 4K video, drones and higher resolution cameras, you find that there is a big demand for mobile storage. More and more people are opting to invest in a 128GB Micro SD card, simply because it not only gives you a tremendous amount of storage space, but the pricing is not outrageous. Every card listed below is highly-rated and these 128 GB memory cards will deliver not only the storage capacity that you are looking for, but also speed and performance, making them a perfect fit for your digital device. Before we get down to business, you will see significant price differences with the 128GB MicroSDXC cards. The cheaper cards are often for general use and they can be used in most smartphones, cameras, drones and other devices. The more expensive options are the absolute fastest 128GB micro SD cards available. You will find that the people who go for these types of cards are those who have a device that requires a memory card with a high write/read speed. Higher-end smartphones, drones, digital cameras and some other devices will require high-speed cards, so those are also listed for the small minority who need faster cards. Do I need all this? Believe me, I was equally confused myself and it really took me sometime to wrap my head around it, but for those of you who are confused, I have a memory card speed guide, that will explain all the issues some of you might be experiencing. Right now the most popular storage options for mobile phones is the 64GB micro SD, but then higher storage capacity cards like the 200GB MicroSD and 256GB MicroSD are available, so why should you go with the 128GB option? How I answer that question is pretty straightforward, the 128GB micro SD card is able to hit a sweet-spot (If you go with the cheap option). For most devices, you are getting a card that is compatible, delivers a significant amount of storage space and it is not overly expensive. While some will say, “Why not go with the 64GB” since it is so much cheaper, my answer is simply, the 64GB card could be filled up in a couple of months and then you would still have to go and get either another 64 or upgrade to the 128GB. Most people don’t need the space now, but with smartphones requiring more data storage, along with cameras with higher camera resolutions and the ability to record video in 4K, you will find that you are going to quickly realize that 128GB or higher is the way to go. So, if you find that the 128GB memory card falls within your budget, go for it as it is a good fit for your device, affordable, delivers great performance and you won’t have to worry about space in the foreseeable future. What’s With MicroSD and MicroSDXC? I know for a fact that some of you might be confused, with the different acronyms that are being thrown around. In some instances you have seen the 128GB card being referred to as a MicroSD and other times Micro SDXC, so which one is it? I won’t get too technical, as I have a whole section dedicated to the differences between MicroSD, MicroSDHC, MicroSDXC. The quick explanation is that people generally refer to small memory cards as a MicroSD. As it relates to the 128GB card size, it can’t be MicroSD, simply because MicroSDXC cards are 64GB or higher. 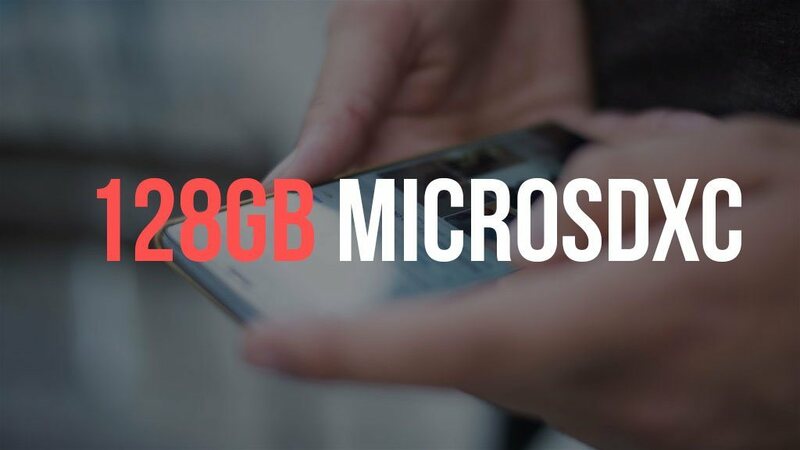 How Much Data Can the 128GB MicroSD Hold? If you are curious as to how much data can be stored on a 128GB card, then take a look at the table below. It should give you some insight as to the storage capacity of the memory card, especially when it comes to music, videos, pictures and other related data. You should note that the information presented below is just an estimate and should not be taken as actual fact. Even though the information uses real world data, you should be aware that a memory card can hold more or less, it really depends on a variety of factors.